New Lenox, IL – The Providence Catholic Celtics hosted the defending 3A State Champions, the Montini Catholic Broncos. 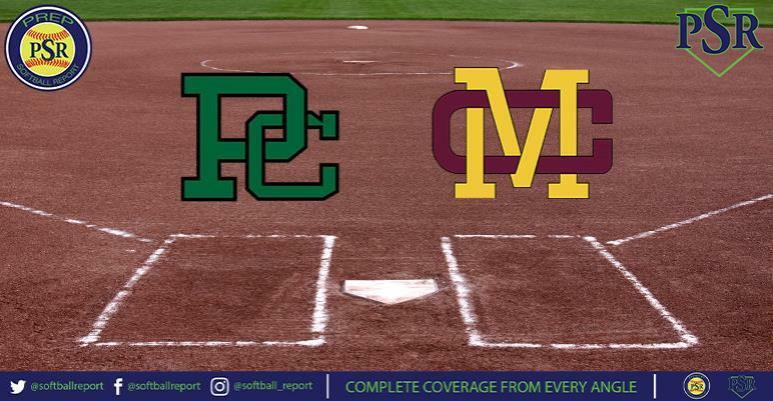 Prep Softball Report livestreamed and covered game one of two in the Saturday doubleheader. In game one, the teams went back in forth at the plate, combining for 22 hits in the contest. The Broncos would get on the board right away scoring three in the top of the first. A single by Emily Alexander and a walk to Ava Vjestica started the inning. Alyssa Filkowski came up with a line drive single to center to score one run. The Broncos would add two more runs in the inning, one coming from a sac fly off the bat of Lauren Latoria. In the bottom of the first Providence would respond with two runs of their own. Back-to-back one out singles from Corey Maloney and Shannon Smith were followed by Claudia Utz singling to score the Celtic’s first run. Providence would add one more run on a pass ball cutting the Bronco’s lead to just one run. Montini would add to their lead in the top of the third inning. With one out, Alyssa Filkowski singled to centerfield that would set up a two out line drive single off the bat of Lauren Latoria. The Broncos would now take a 4-2 lead. Shannon Smith would lead off the bottom of the fifth with a double. She would advance to second on a wild pitch and Smith would then score on a ground out to make the score 5-3. Providence would then get back-to-back singles from Claudia Utz and Maggie Jourtas, they would be driven in by a double from Maggie Hurley tying the game 5-5. The Celtics would tack on their final two runs of the game in the bottom of the sixth. Teagan Sopczak led off the inning with a single, followed by a sacrifice bunt from Corey Maloney. A batter later Shannon Smith would double to center and once again advance on a wild pitch, then score on a ground out to give Providence a 7-5 lead. Providence’s pitcher Laila Summers was able to settle down allowing zero runs in her final three frames. The Celtics defense helped their pitcher out in the final inning, turning a 4-6-3 game ending double play.